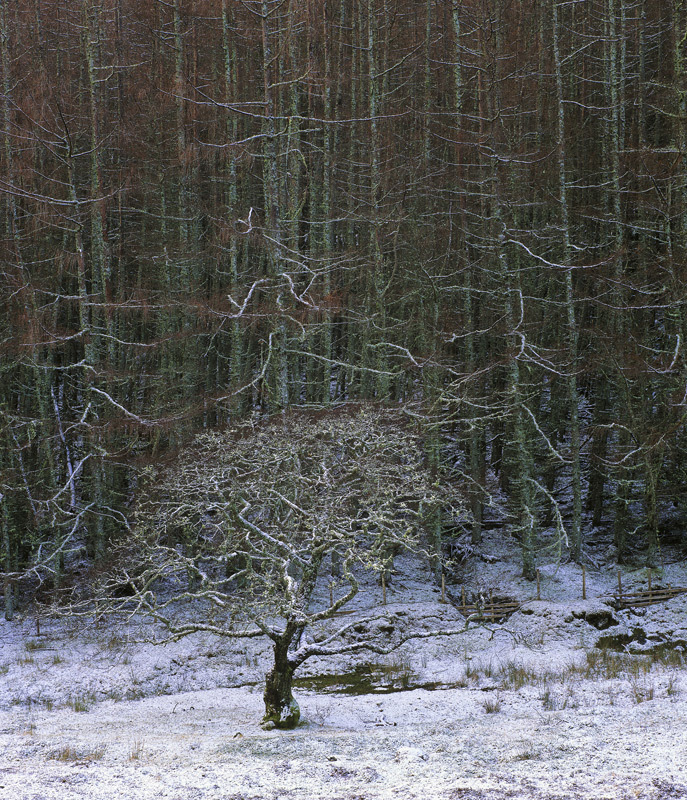 A solitary Oak tree of some age festooned in lichen and dusted with snow spreads it's canopy creating a sphere of twigs and branches that juxtaposes with the rank and file of the vertical larch pines behind it. On occasions light is able to find a way into the bowl and illuminate the oak without spilling on the pine trees but here they tend to blend together and are only separated by virtue of their opposing shapes. It is enough for me to maintain my enjoyment of this scene, but I can equally understand that other folk would welcome the additional separation that differential lighting would bring.